﻿ Olle Windmill Pension and Guesthouse, Jeju Island | FROM $25 - SAVE ON AGODA! "Very Friendly staff and speaking english very well." Have a question for Olle Windmill Pension and Guesthouse? 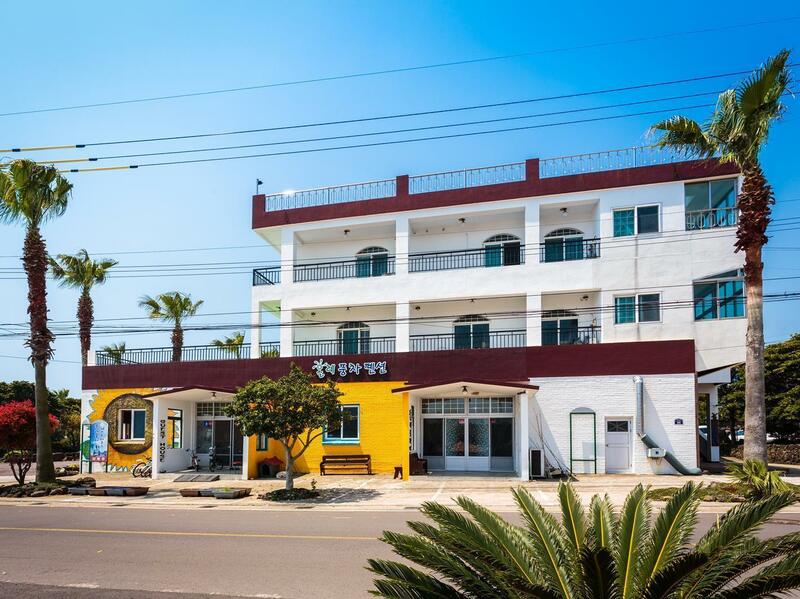 Whether you're a tourist or traveling on business, Olle Windmill Pension and Guesthouse is a great choice for accommodation when visiting Jeju Island. The city center is merely 10.00 Km away and the airport can be reached within 60 minutes. With its convenient location, the hotel offers easy access to the city's must-see destinations. At Olle Windmill Pension and Guesthouse, the excellent service and superior facilities make for an unforgettable stay. Guests of the hotel can enjoy on-site features like free Wi-Fi in all rooms, luggage storage, Wi-Fi in public areas, car park, BBQ facilities. All guest accommodations feature thoughtful amenities to ensure an unparalleled sense of comfort. 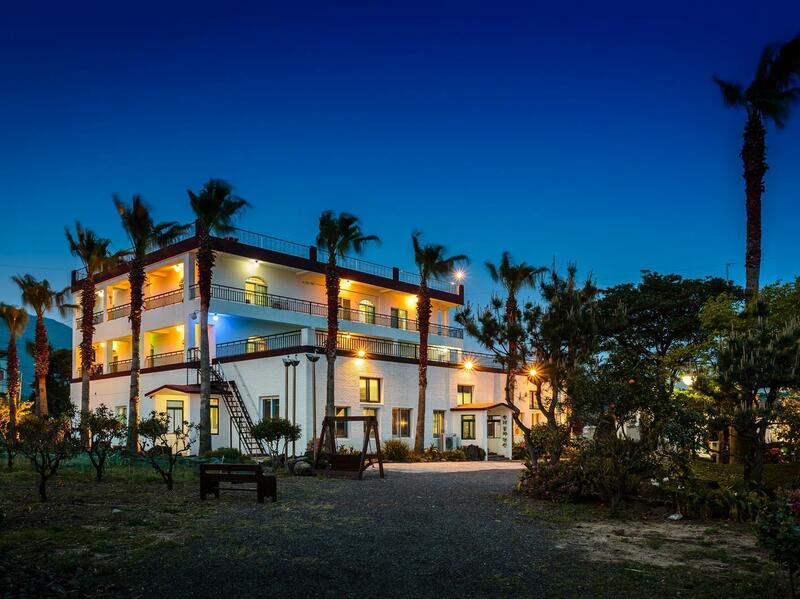 The hotel offers wonderful recreational facilities such as fishing, garden, water sports (non-motorized) to make your stay truly unforgettable. 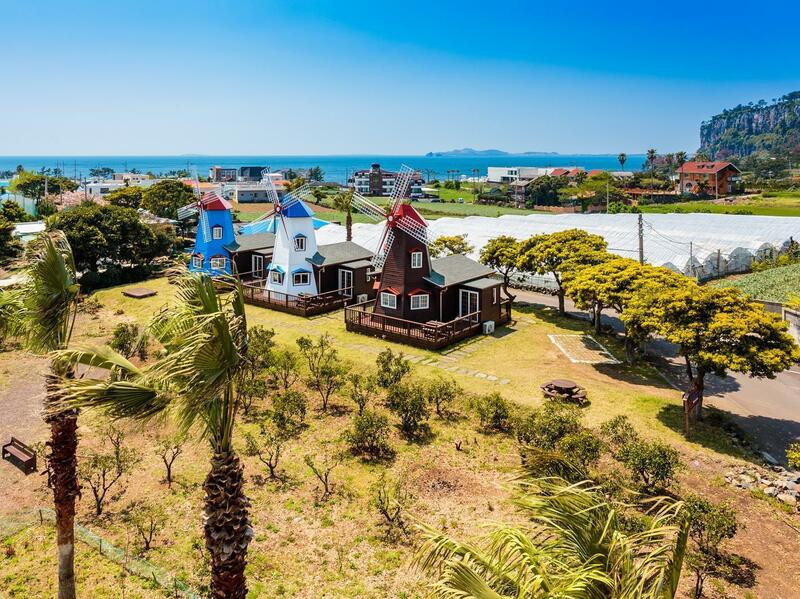 Olle Windmill Pension and Guesthouse is an ideal place of stay for travelers seeking charm, comfort and convenience in Jeju Island. Very Friendly staff and speaking english very well. The building looks a litter old but putting some guest ground photo on the wall, feel warm and touching. we staying a big room with dining room, kitchen, and living room, plus comfortable bed. A bit far from town. Very good staff with hospitality, good variety of traditional korean breakfast. Guests can borrow bike for free so much easier to tour around. Next to the sea. 15 min drive to Andeok Valley. The area is quiet but a bit difficult to access, need to take taxi. I was impressed by the warmth and hospitality of the hosts and enjoyed a very relaxing, home-style stay.Thank you so much! Nice. It just a little difficult to go there by bus. 깨끗하고 좋았습니다. 손님이 많지 않아 편하게 쉴수 있었습니다~ 안내 데스크겸 거실이 마치 찜질방에 온것같은 분위기랄까?ㅋ 아침에 조식이 잘나와서 좋았는데 알고보니 유료더군요. 하지만 저렴한가격에 부페식 식사도 좋은것 같습니다.